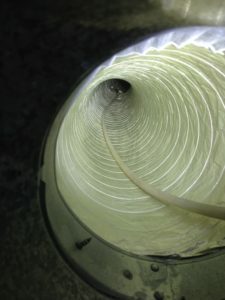 We take great care in informing our clients throughout the duct cleaning process. 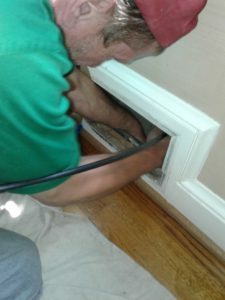 To schedule your duct or dryer vent cleaning, contact Quality Air Solutions at (301) 388-3919. While cleaning the vent of a dryer that was only 3 years old in Olney, MD, we found a large pink hair comb creating a clog in the lint screen housing. Don’t wait until your clogged dryer vent becomes a fire hazard. If you notice a musky smell from your dryer, it could be from the water vapor from the build up. 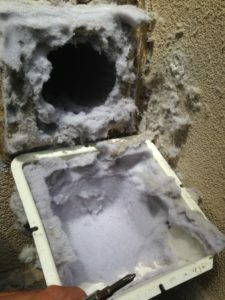 Contact Quality Air Solutions and schedule your dryer vent cleaning soon! 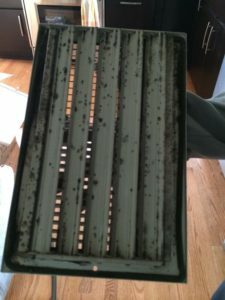 Quality Air Solutions will ensure that your vents will be thoroughly cleaned of all debris and build up and that your home’s air will be cleaner than ever. Contact us today! Our powerful tools agitate and blow all of the dirt and debris out, giving your ducts a thorough cleaning. 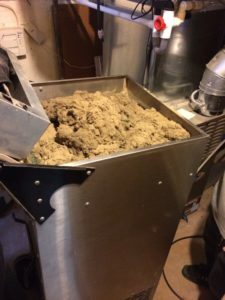 We’ll clean the supply and return air ducts and registers, grilles and diffusers, heat exchangers heating and cooling coils, condensate drain pans (drip pans), fan motor and fan housing, and the air handling unit housing. 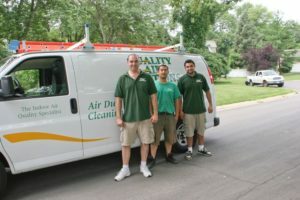 If you think that the ducts in your home in Montgomery County needs to be cleaned, contact Quality Air Solutions soon! 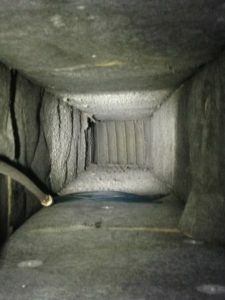 Haven’t had the ducts in your home cleaned yet? 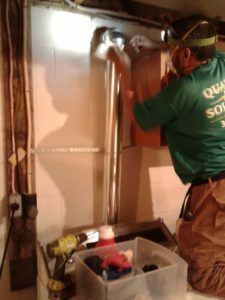 Don’t wait any longer and call in the professionals at Quality Air Solutions! Is there a musky smell coming from your dryer? It may be due to water vapor trapped in a clogged vent. 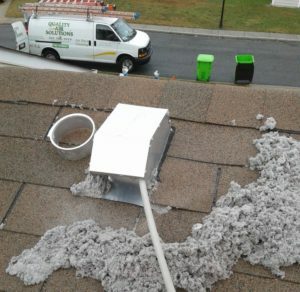 Quality Air Solutions offers professional dryer vent cleaning services in Wheaton, MD and the Montgomery County area. Don’t let the build up in your dryer vent become a fire hazard. 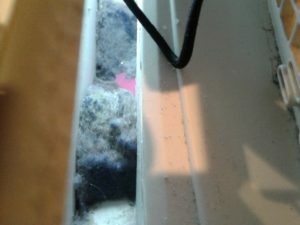 If you suspect there to be a high amount of lint and debris in your vents, contact us as soon as possible!